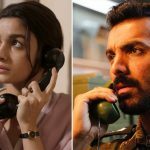 Around a month back released, Hindi spy thriller Raazi has passed its fourth weekend on a solid note after the three successful weeks. The very promising Meghna Gulzar’s directorial has got succeed to impress all the viewers and received very positive reviews from the critics as well as the audience. 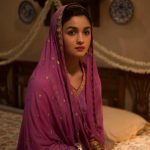 After a decent opening, Raazi picked up very well and did the business of 56.59 crores in the opening week. By remaining unaffected by new releases, it bagged the amount of 35.04 crores in the second week and 18.21 crores in the third one. Now Alia Bhatt and Vicky Kaushal starrer is running in the fourth week and once again showed good growth over the weekend. On 4th Friday, it managed to remain solid despite Veere Di Wedding and minted the amount of 1.05 crore. 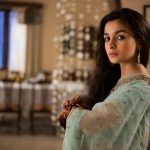 On 4th Saturday, Raazi took a fair growth and collected the business of 1.70 crores. Then on the next day i.e. 4th Sunday, it garnered the business of 2.30 crores and raised the 24 days total collection to 114.89 crores at the domestic box office. On the other hand, last week released Parmanu of the similar genre- period drama thriller has also made a strong impact on the audience and running steadily despite new Hindi offerings after a good opening week, in which it collected the business of 35.41 crores from 1935 screens. Due to strong word of mouth, John Abraham & Diana Penty starrer passed the second weekend on an overall good note. On 2nd Friday, it did the business of 2.05 crores after a drop of 36.73%. Then with a healthy growth, Parmanu minted the amount of 3.56 crores on 2nd Saturday & 4.53 crores on 2nd Sunday. With this, its 10 days total collection has become 45.55 crores at the domestic box office.